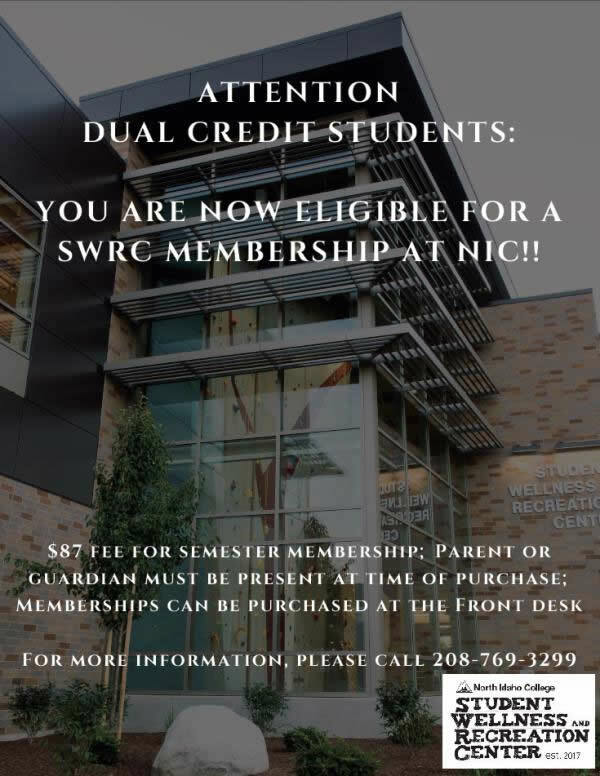 North Idaho College's dual credit program provides the opportunity for high school students to earn college credits at reduced rates while still satisfying high school graduation requirements. We have moved! Come see us in our new location in Lee Kildow Hall Room 126 located inside the Cardinal Learning Commons. Students must be at least 16 years of age and/or have completed one-half of their high school graduation requirements. A GPA of 3.0 is recommended. dual credit seniors in high school who plan to continue at NIC after high school graduation must complete a dual freshman application to change status. A Consent for Release of Student Information needs to be signed by the student in order to communicate with a parent/guardian. 17 Commencement for NIC graduates 10:00 a.m.
Advanced Opportunities funding allows for students to individualize their high school learning plan and get a jump start on their future. This program provides every student attending an Idaho public school an allocation of $4,125.00 to use towards Advanced Opportunities in grades 7-12. These options include dual credit, technical dual credit, Advanced Placement, and International Baccalaureate programs. Get the details. Please note: Registering at the high school for an NIC class being taught in the high school only puts you on the high school roster. You must apply to be in an NIC class whether it is being taught in the high school, on campus, or online.